Yes, I remember that Pagani Fangio F1 conception! But interestingly, I didn't know Zonda F made a tribute to Fangio ten years later. Anybody know what "F" means? He helped helped Pagani with developement of the first car which should be called Pagani Fangio F1. After his death Horacio Pagani changed the name of the car to Zonda C12. But the Zonda F is a hommage to the legendary F1 champion Juan Manuel Fangio! 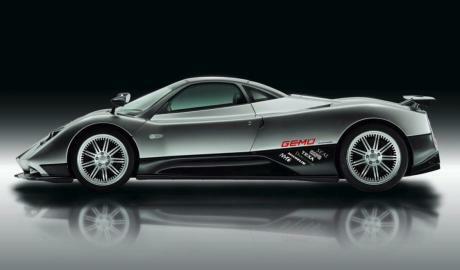 700HP Supercar: The Zonda is Dead. Long Live the New Pagani Huayra! Daniel, the time of 6:47 is not the Zonda F, but the Zonda R (special version with a print run of 10 units). No its not road legal you should know this!! This is my most favourite supercar ever, the best supercar build! This is my most favorte car ever.It is WAY better than the bugatti. no sorry mixed it up the Zonda F (602hp) was tested by sportauto with real 321km/h not factory claimed 345km/h... nearly all cars claimed to reach 3XXkm/h, fail in independent tests to realy reach their claimed topspeed.. The ZR1, CCR and many other also failed to reach iclaimed topspeed... wrong air pressure, wrong temperature, wrong altitude there are many things that could stop stock production cars to get to their factory claimed topspeed..
oh, ok so this top speed of 214mph is not a claim, it was tested yeh? 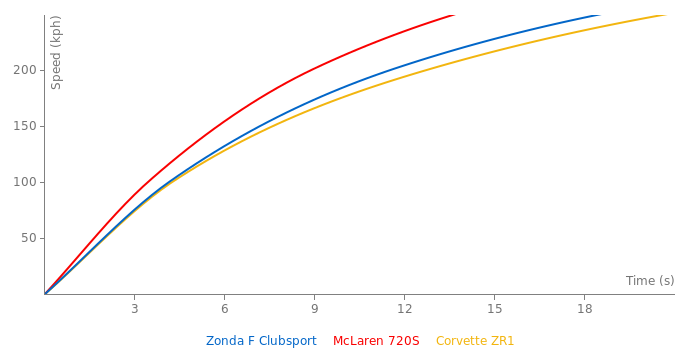 do not belive the 225mph...the normal Zonda F with 602hp was tested with 345km/h 214mph ... the C12 S with 555hp was tested with 335km/h (209mph)..they needed ~50hp to get 5mph faster... with 50hp more they perhaps get it 3-4mph faster(remember the aerodynamic resitance increase in square not liniar)... 217-200mph maximum..
225 is what i herd, and 200 with maximum downforce. somebody should test this at nardo. i mean there are no official top speed runs on this car. i know its a very rare car but they shold test it. is this car still in production? if so, how many do they make a year? how much is this car in euro? what does (IT) stand for? Im sure it could go faster 'round nordschleife. EVO magazine also recorded the 7:27 time too you know? Why does the time say 7.24:65 when I think It was 7.27:82 ??? hlodk are you fkn stupid?? this car is a fake, it is not real! !